Well, hi there. This is obviously my website. You can find out a bit more about me and my stories here. Use the Contact page to send me a message or find me on Facebook, really the only social media I have time for. If you sign-up for my newsletter, you may select any one of my ebooks for free. I only send it out when I have a new release so you won’t get many of them. I love hearing from my fans so please take a moment to say “hi” and let me know what you think. The main series I have at the moment is Stories from Bennett Bay. 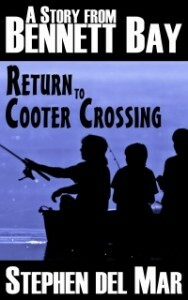 This is a collection of short stories, novellas, and novels about the inhabitants of the city of Bennett Bay and Big Cypress County. 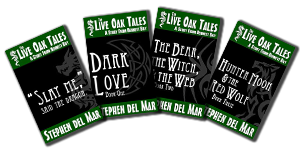 The Live Oak Tales is a series of books within the greater Bennett Bay collection dealing with the more fantastical folk that make their home in this amazing part of Florida’s Gulf coast. Standalone Stories, obviously, stories that aren’t part of the above series.